iPad users have a wide variety of apps to choose from and update their devices with in this technological age. New apps always seem to be on the horizon or just coming on the market. The apps are what really set iOS apart from other platforms and the App Store has more, higher quality apps available for the iPad than any other tablet. As a result, many users may be asking which are the best free and paid for apps on the market? In an effort to help clarify the confusion, here are some of the best iPad free and paid apps available. 1. Netflix from Netflix, Inc.–This app is free for all devices, even though the streaming and/or DVD subscription service has a monthly fee attached. However, given the extensive library and viewing options available to Netflix subscribers, its nominal monthly fees are well worth the cost. 2. Skype for iPad from Skype Communications (S.a.r.l)–This app is free for all devices. It is a terrific means of telecommunication all over the world. Moreover, it is a life saver for remote workers, military personnel and their families, and everyone who has long distance loved ones. Skype allows users to talk, text message, and make contact across cities, states, countries, nations, as well as continents. Furthermore, the platform offers many other features including three-way calling, call forwarding, voice mail, group conferencing, and even a Skype number if desired. Many of these features are free-of-charge if the individuals or businesses are among the users’ contacts. Otherwise, there are reasonable, varying rates associated with the use of Skype’s tools and features. 3. Google from Google, Inc.–This app is also free for all devices. Google is the top search engine on the web and the company has diversified on many levels. As a result, Google has its fingers in many cookie jars and is determined to be among the top-performing as well as earning businesses in the world. 4. Facebook from Facebook, Inc–This app is a king among social media platforms. Facebook is a leader in the social networking world, despite naysayers and those with privacy concerns. This free app is available for all devices and can help techies stay connected. 5. YouTube from Google, Inc.–This free app is a must for all tech lovers and it is available on all devices. Whether users want music videos, clips of TV shows, full-length movies, or love do-it-yourself and tutorial videos, YouTube is the place to search for and find it all. The fantastic success of the online service is impressive to say the least, and its prospects for the future are limitless. Now that some of the best free iPad apps have been addressed, it is time to explore some of the best paid iPad apps available on the market. Here are a few paid iPad apps worth the money. 1. Adobe Photoshop Touch–This paid app is priced at $12.99 and echoes its desktop cousin, the original Adobe Photoshop. While it is not a carbon copy of the original Photoshop experience, it has a nice framework and awesome features. Users are given access to a wide variety of tools including filters, layers, and adjustments. Moreover, users can work on images up to 12 megapixels in size. 2. Byword–This paid app is priced at $7.49 and acts as a word processing marvel. Remote workers–particularly online writers and editors– could benefit greatly from this no-nonsense, distraction-free editor that allows professionals to focus on writing. Other features include Markdown support, which is helped along by a custom keyboard row, and also has a live word and/or character count. An additional feature for anyone publishing to the web, a single $6.49 IAP provides integration with platforms, such as Tumblr and WordPress. 3. Diet Coda–With a hefty price tag of $24.99, this paid app is an enhanced, updated version of Panic’s Coda, which is a wildly popular Mac app for coding websites. The iPad app version certainly holds its own. Diet Coda allows users two methods of editing files, either via live editing on the remote server or by downloading the files locally first. Additional features of the Diet Coda app include syntax highlighting, a built-in Terminal, and tutorials, which make it a great app for web designers. 4. AppCooker–This paid app also has a $24.99 price tag, but allows users to tinker with their software in unique ways. The app provides users the benefits of task-oriented software without doing any coding. Users can create and design icons, shapes, position UI elements, and even link screens together. Moreover, the generated mock-ups can be shared in AppCooker’s native format or as PDFs. 5. 1Password–With a price tag of $12.99, this paid app is designed to securely store passwords and payment information. Not only is 1Password a very powerful system, it can store and secure identities, notes, app licence details, and network information. Moreover, the stored information can be accessed on more than just Apple’s platforms. On iPad, the only con associated with the app is the lack of direct Safari integration. However, 1Password’s built-in browser is safe and secure for online purchases. Furthermore, login passwords can be easily transferred over to Safari. With new apps always on the horizon or just coming on the market, iPad users have a wide selection to choose from in this technological age. The apps are what really set iOS apart from other platforms and many users may be confused by which are the best free and paid for apps on the market. Hopefully, this article will help to clarify the confusion and guide users to some of the best iPad free and paid apps available for their devices. 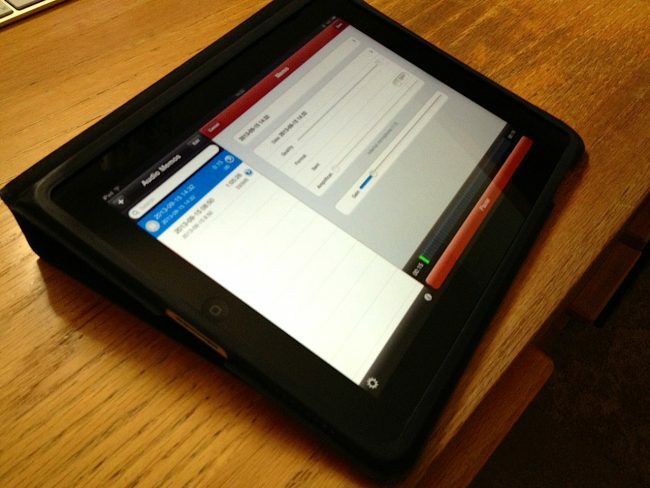 7 Responses to "iPad: Best Free and Paid Apps"
Skype is my all time favorite application. I will try out remaining apps.